The UPSC Civil Services Examination (CSE) is one of the most challenging exams and cracking it is not easy without the right preparation. However, some people who have decided to take the IAS exam might have doubts and questions regarding the exam preparation and planning their study for the IAS exam. Here are some common doubts about UPSC CSE preparation along with solutions. When is the right time to start preparing? This is one of the most common doubts UPSC aspirants have. One must start their IAS exam preparation as early as possible as it has its own advantages. It will help not only aspirants prepare and focus better but also give them enough time to cover the entire syllabus. However, candidates should start preparing at least a year in advance with a focused approach. How to prepare a strategy for UPSC preparation? It is essential for UPSC aspirants to have a proper strategy to cover the vast syllabus. Having a proper study plan is a must. They should start preparing in advance and set short-term and long-term study plans/goals to cover all topics. Lack of proper time management and delaying practice/revision sessions could hamper their preparation. Also, studying for long hours continuously should be avoided. #3: How many hours should aspirants study for? While aspirants are advised to study for 6-8 hours daily, there's no set number of hours that one should study for. One must remember that the quality of study is important than the number of hours. Whenever they are studying aspirants should stay completely focused. How to choose optional subject for CSE Mains? 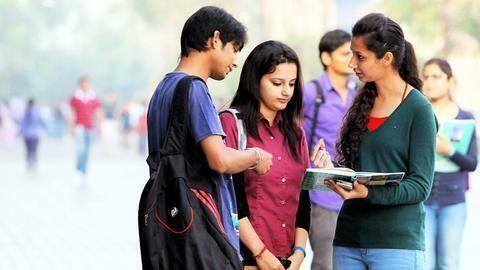 For UPSC aspirants, choosing the right optional subject for CSE Mains is one of the most critical decisions and not selecting the right one could be a terrible mistake. Candidates must take the decision after considering several factors and discuss with their peers or teachers in case they are confused. Candidates should choose an optional subject they are interested in and comfortable with. Are NCERT books and newspapers really important for preparation? UPSC aspirants must first focus on fundamentals and NCERT textbooks before moving to advanced concepts and reference books. They are important for the IAS preparation as questions based on NCERT books and fundamentals may be asked in the exam. Candidates must also read newspapers regularly as there is no replacement for newspapers; it helps them enhance their knowledge, reading/writing skills, and current affairs.